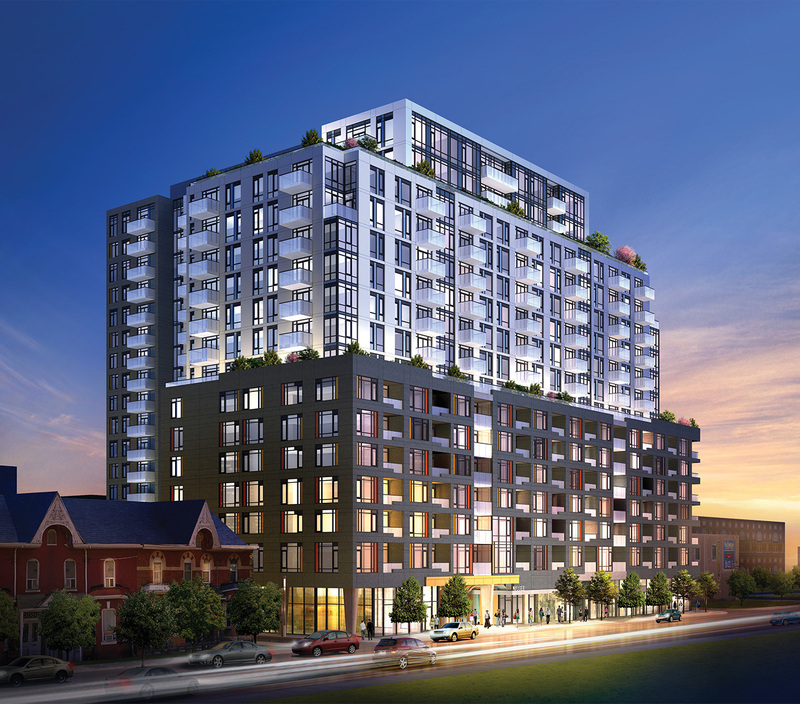 Musee Condominiums presented by Plazacorp at 525 Adelaide Street West, Bathurst and Adelaide. The 21-storey tower consists of 440 suites and 302 parking spaces. The tower is designed by Quadrangle Architects Limited. Musee condos is right behind the Sixty 50 Condos. Amidst a civilized, tree-lined pocket on Adelaide West, a cosmopolitan condominium like no other has arrived. Close to the vibrant Queen West and King West neighbourhoods, Musee presents an uncompromisingly elegant take on urban style. With dramatic architecture, exquisitely detailed interiors and luxurious amenities in a most sophisticated new community. Frame your life with flair at Musee.